I put all of my antique cards on the top shelf of the buffet, that way they can be seen individually. Most are not in pristine shape but they are lovely to look at. Starting on the left is this honeycomb clown card, he is delightful. 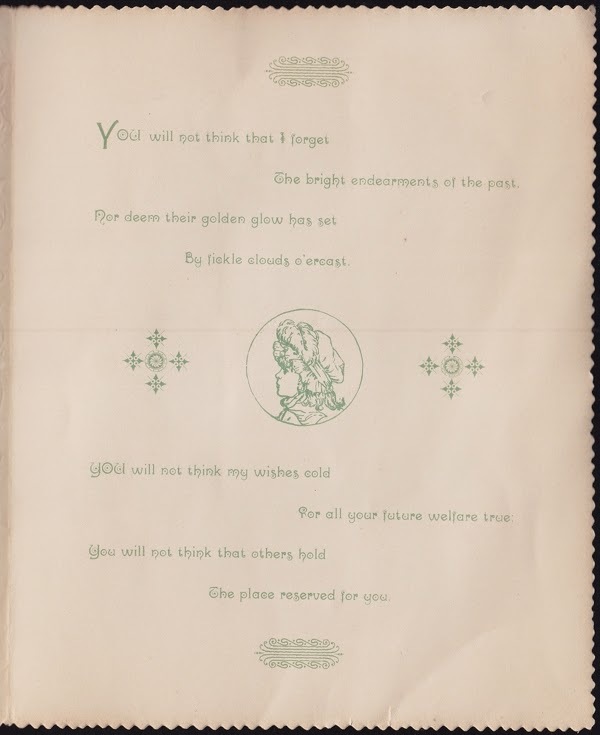 In front and to the right of the clown is this fold out card, Made in the U.S.A. I've scanned the back so that words on the inside make sense. with the inside saying, "Let's travel around together dear Valentine". 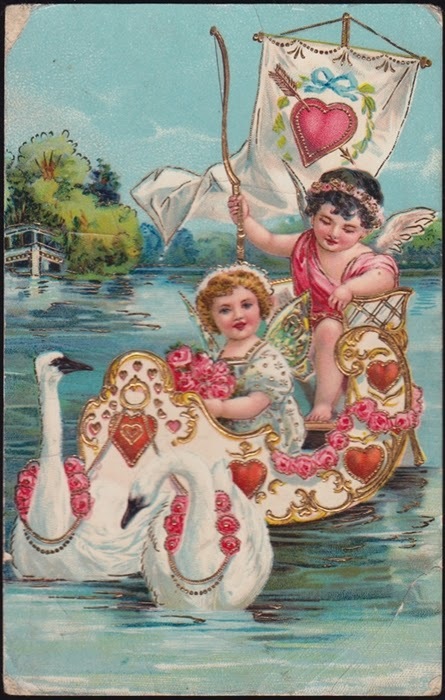 There is no country of origin or printer on the large "Affections Offering" Valentine. 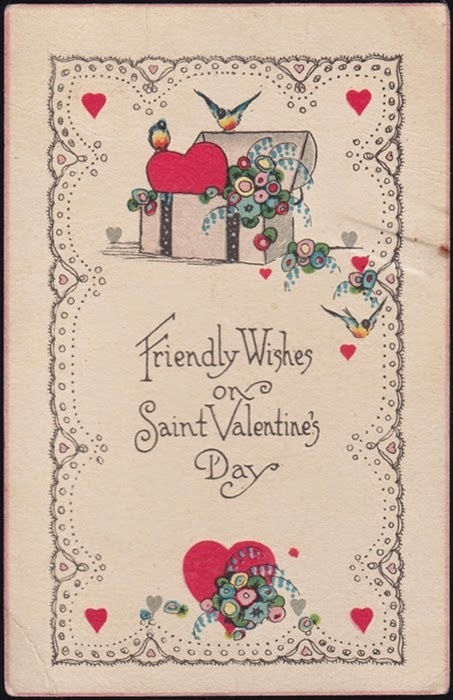 Here is the interior of the card. and laying in front is this postcard. 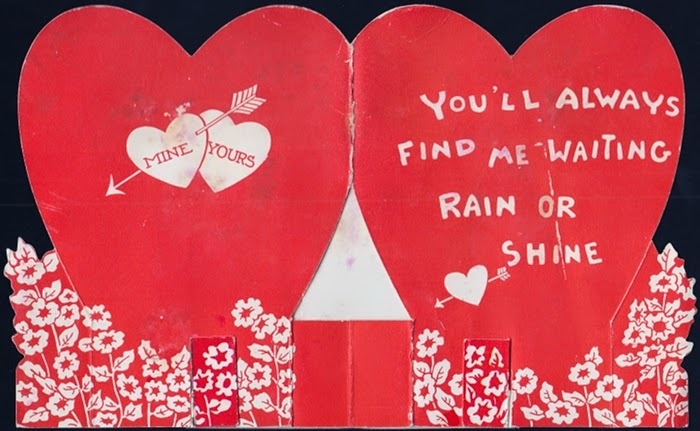 All five of these fold out Valentines are made in Germany. 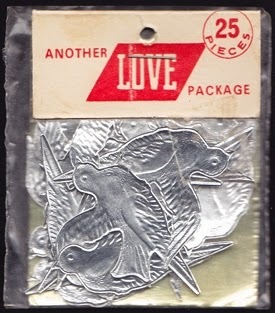 Laying in front is this packet of silver foil doves. They are most likely for wedding cakes and decorations; they are not as old as the cards. 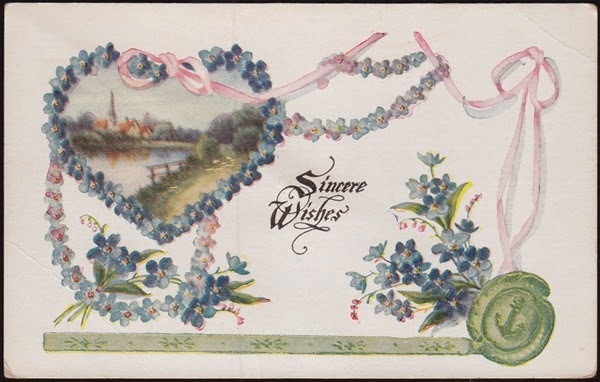 Two fold out Valentines and a postcard; all are printed in Germany. 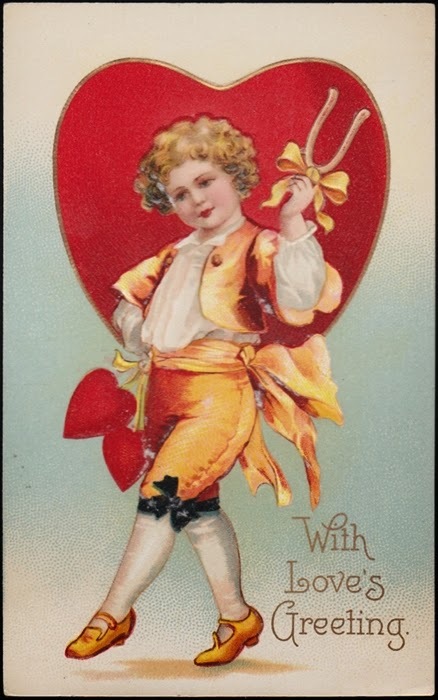 The stand-up card of the little boy with the letter J tied to his back has written on it... Don't be a "J" Be My Valentine... I have no idea what "J" means, unless it is saying, "Don't be a jerk"! Such naughty words from such a sweet little boy! I have scanned the postcard in behind the naughty little rascal. 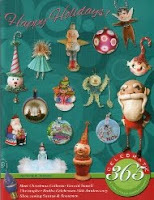 I love this card as well, the colours are great, not at all romantic but filled with the joy of life, living, and love.